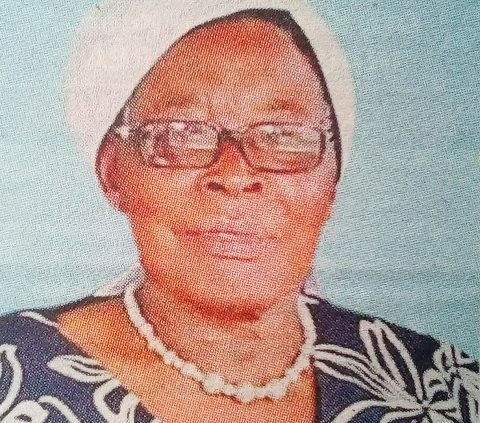 It is with deep sorrow and humble acceptance of God’s will that we announce the passing on to glory of Mama Beatrice Mbelesia Mudoga on the 5th February 2019. Daughter of the late Egadwa Asindavira and Guku Deborah Kadenge. Loving wife of Mr. Ephraem Ludeki Mudoga, formerly of the Judiciary. 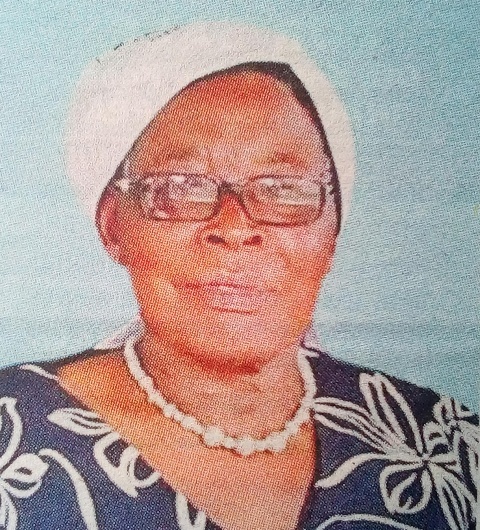 Beloved Mother of Emily Kayeri, Lillian Afandi, Allan Adika, Duncan Aluchula, Oscar Ludeki and Edwin Egadwa. Mother in-law of Robert Matano Jnr, Brenda Adika, Edna Aluchula, Sharon Ludeki and Patricia Koech. Grandmother of Ashley, Audrey, Ange, Tania, Lyold, Alvin, Trevor, Lincoln, Jeremy, Ariana, Adel, Keith, Kigen, Keisha and Keindra. Sister of the late Peter, Maria, Joab & Julia. Sister in-law of Atianyi, the late Harun & Aggrey. Daughter in law of Luka Ludeki and Timina Kasoha. Auntie of Ronald, Alex, Tony, Florence among others. Family and friends are meeting at All Saints Cathedral today Tuesday 12th February 2019 for a Harambee to offset medical bills and funeral expenses. 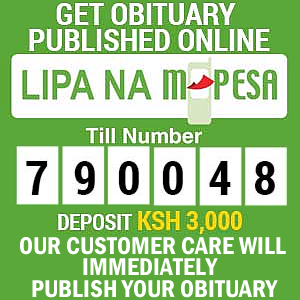 Contributions can be channelled to Paybill Number 177304, Account name is your name. The cortege will leave Racecourse Hospital Mortuary in Eldoret on Thursday 14th February 2019 at 9am and thereafter for the funeral and burial service at her home in Inyali Village, Kigama Sub-location, Sabatia, North Maragoli on Saturday 16th February 2019 . 2 Timothy 4:7 —You have fought the good fight, you have finished the race, you have kept the faith.